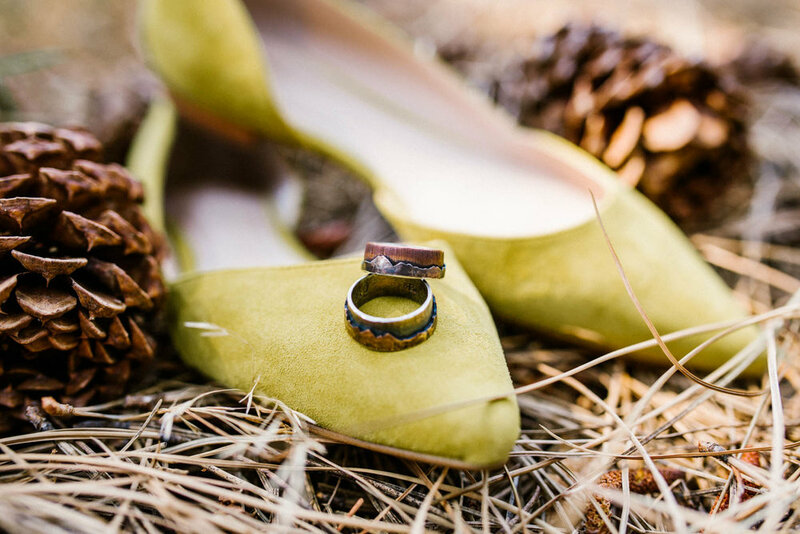 Arthur and Amanda's breathtaking elopement just might have you rethinking your big wedding plans. 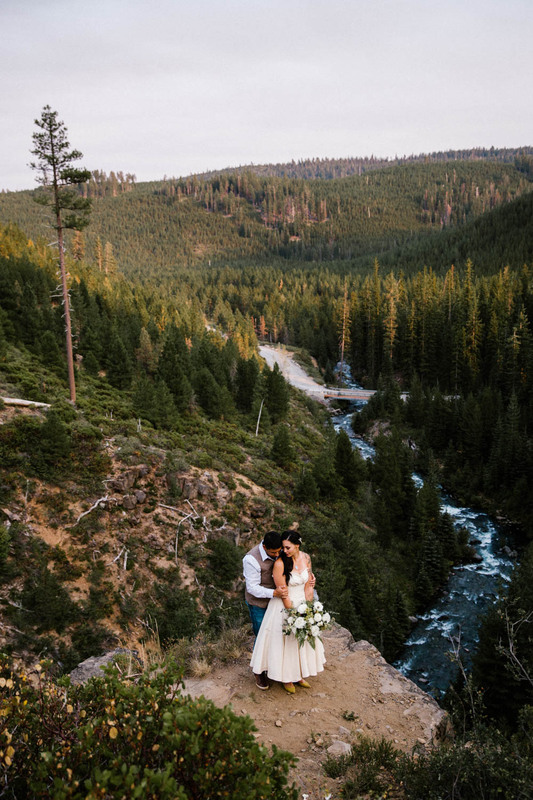 This adventurous couple decided to break the traditional mold resulting in an idyllic elopement at Tumalo Falls near Bend, OR. 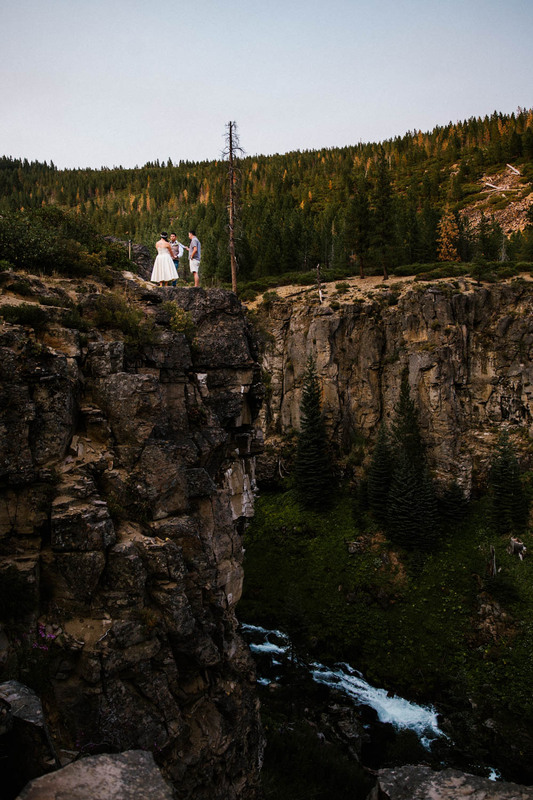 Vows were promised on the edge of a cliff with a jaw-dropping view of the falls. 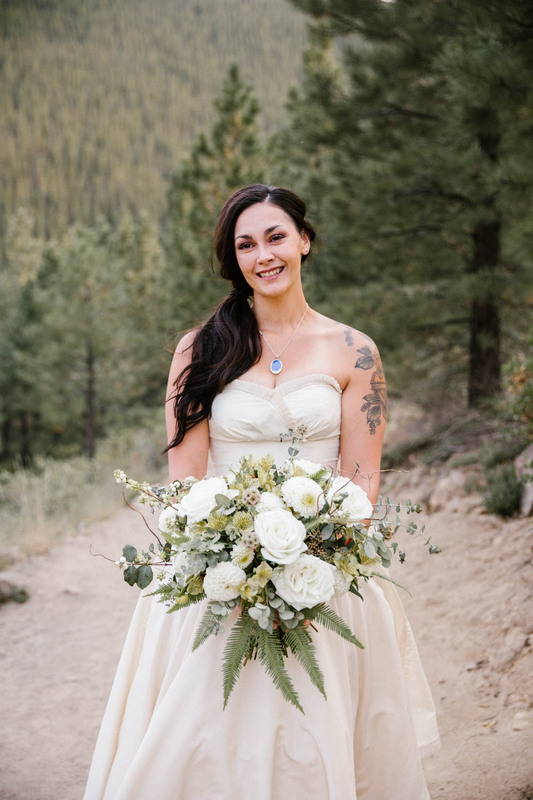 They surrounded themselves with only their closest family and friends for a ceremony bursting with love and tears of joy. 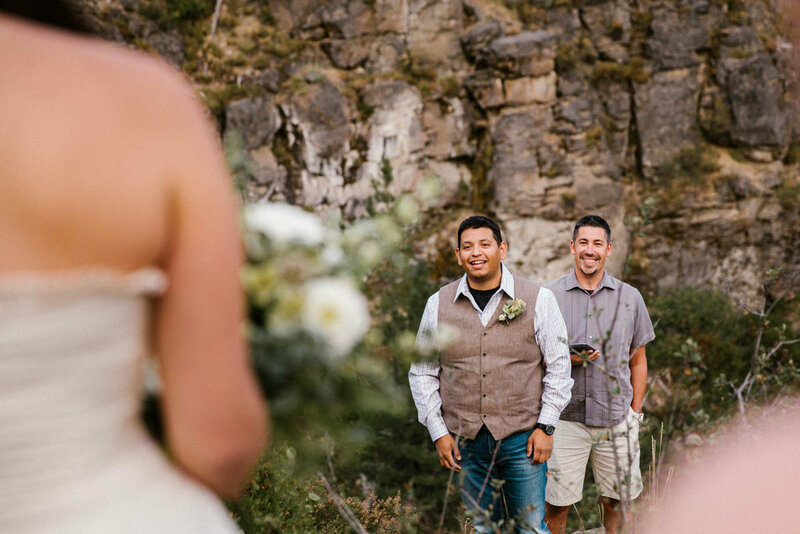 The gorgeous scenery of the falls combined with the palpable romance between these two, created portraits that have us swooning! 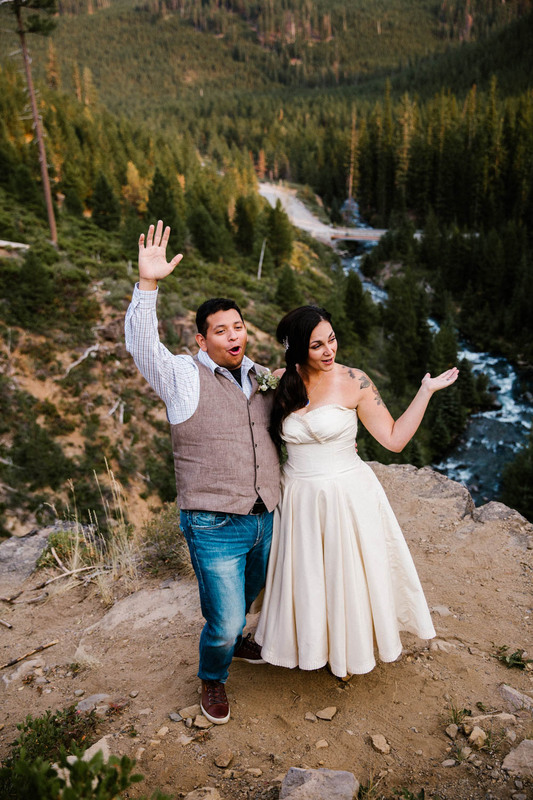 Arthur and Amanda ended the night driving away in their camper van that has us all jealous. 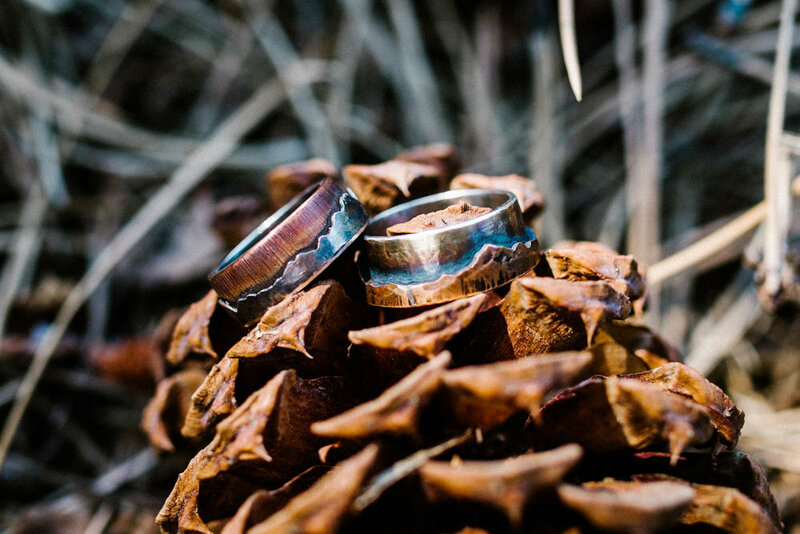 Arthur sent Amanda sweet notes throughout the morning with mementos from their first dates. 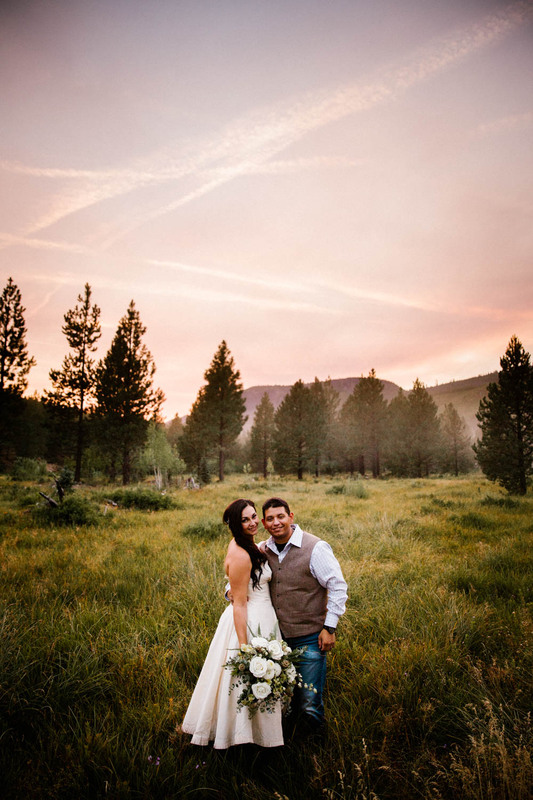 The Bride and Groom with their DIY camper van.